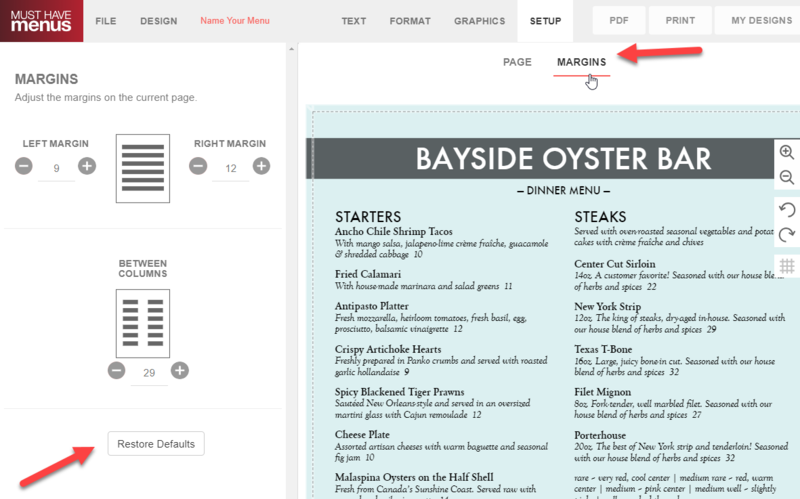 Click the Setup tab then Margins to adjust left margin, right margin and space between columns. Use the + or - buttons or type in a custom value. If you'd like to use the default margins after customizing, click Restore Defaults as shown above.